International rescuers prepare to enter the cave where a young soccer team and their coach were trapped by flood waters, July 5, 2018, in Mae Sai, Chiang Rai province, in northern Thailand. Thai officials say they will not immediately attempt an underwater evacuation of 12 schoolboys trapped in a cave. The death of rescuer Saman Gunan, a former Thai navy SEAL, underscored the risks of making the underwater journey. Rescuers say the air supply inside the cave is "a big problem." Workers have been trying to run an oxygen line into the cave's chambers. Authorities in Thailand said Friday they will not immediately attempt an underwater evacuation of 12 schoolboys who have been trapped in a cave for almost two weeks because they have not learned adequate diving skills in the short time since searchers reached the area where they are sheltering. However, the official in immediate charge of the operation, Gov. Narongsak Osatanakorn, indicated at a news conference that if heavy rains started and appeared to be causing flooded areas in the cave to rise again, divers would try to take the boys out right away. Thai officials had been suggesting in public statements that a quick underwater evacuation of the boys and their soccer coach was needed because of the possibility that access to the cave could soon close again due to seasonal monsoon rains expected this weekend. 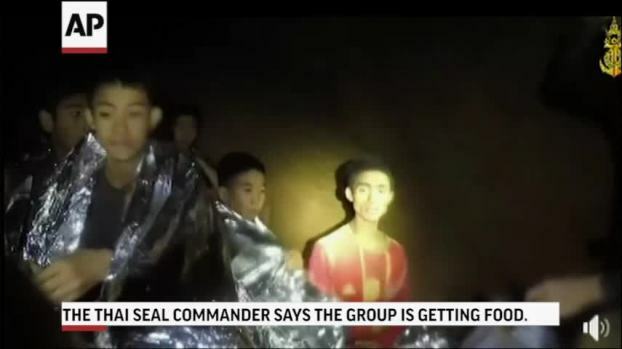 New video released by Thailand's Navy Seals shows 12 boys and their coach, stuck in a flooded cave. Authorities say the group is relatively healthy and getting food. Officials are deciding how to get them out. Cave rescue specialists have cautioned against that approach except as a last resort, because of the dangers posed by inexperienced people using diving gear. The path out is considered especially complicated because of twists and turns in some narrow flooded passages. The suggestion that the trapped team might have to wait months inside until a safe way out in available — as was the case in 2010 with Chilean miners trapped underground — has met with little enthusiasm. The authorities continue to pursue a third option, which is finding a shaft or drilling into the mountain in which the cave is located to find a sort of back door entrance. The boys, 11 to 16, and their 25-year-old coach went exploring in the cave after a soccer game June 23. 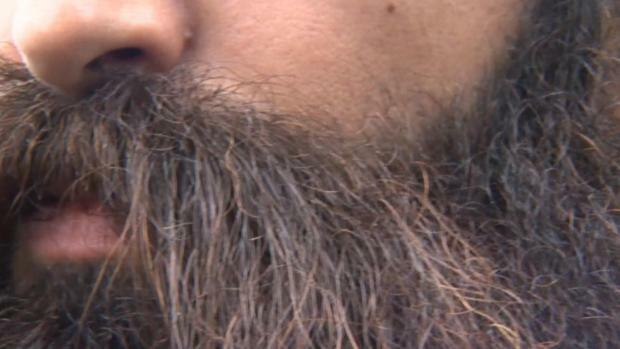 Monsoon flooding cut off their escape and prevented rescuers from finding them for almost 10 days. The only way to reach them was by navigating dark and tight passageways filled with muddy water and strong currents. Asked at his midnight news conference about taking the boys out underwater, the governor replied, "Not today because they cannot dive at this time." Rescue workers have found a group of missing boys and their soccer coach inside a flooded cave in Thailand. 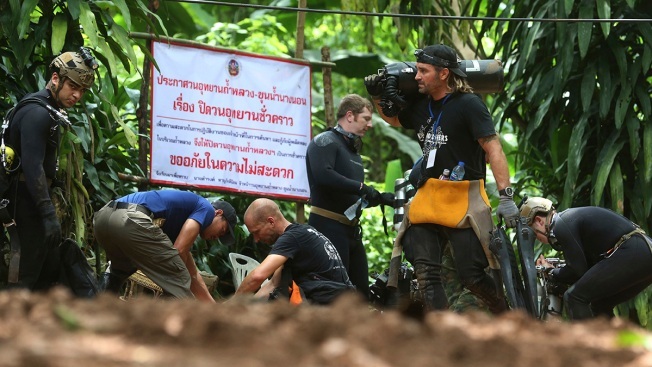 Professional cave divers from Europe are making the dangerous dives with a contingent of Thai navy SEALs. Two divers from the U.K. were the first to make it, on Monday, to the area where the boys and their coach took shelter. The divers are making frequent swims in and out. The death of former Thai navy SEAL Saman Gunan underscored the risks of making the underwater journey. The diver, the first fatality of the rescue effort, was working in a volunteer capacity and died on a mission to place oxygen canisters along the route to where the boys and others are sheltered, Thai SEAL commander Rear Adm. Arpakorn Yookongkaew said. While underwater, Saman passed out and efforts to resuscitate him failed, Arpakorn said. Some officials said his collapse was due to his oxygen supply running out, but the cause of his collapse was not confirmed. "Despite this, we will continue until we accomplish our mission," Arpakorn vowed. Narongsak acknowledged that the air supply inside the cave is "a big problem." Workers have been trying to run an oxygen line into the cave's chambers. "We are carrying oxygen canisters to where the boys are," Narongsak said. The dramatic rescue efforts and the boys' plight have garnered international attention, perhaps most notably at soccer's most widely watched event, the World Cup. A diver who spent time with the boys said earlier the youngsters wanted to know the results of the matches. Players from teams including England and Sweden have recorded good luck video messages for the trapped boys, and FIFA has invited the 13 to the World Cup final should they be rescued in time and are healthy enough to travel. Elon Musk, the entrepreneur behind the Tesla automobile and the SpaceX rocket company, has said he would send engineers to help. One of his enterprises is Boring Co., which digs tunnels for advanced transport systems and has advanced ground-penetrating radar.